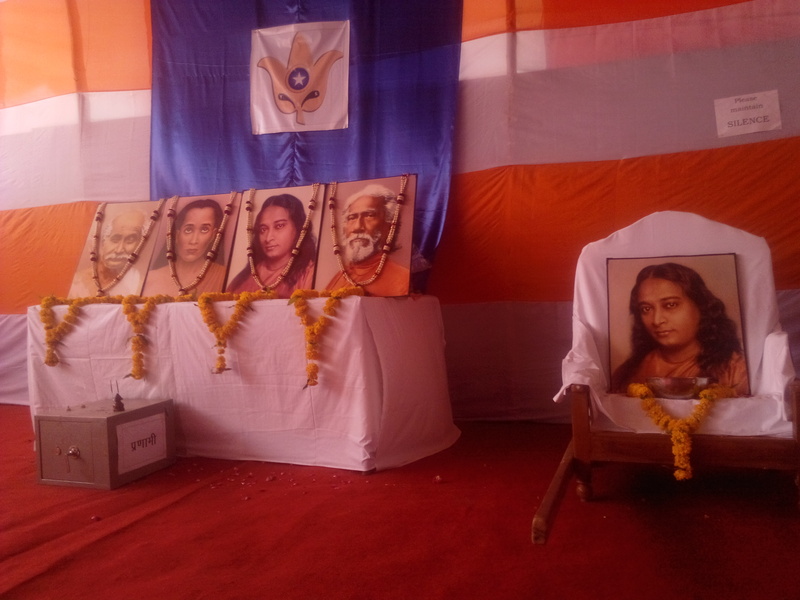 For the first time, YSS was represented at the Simhastha Kumbha through a bookstall on the mela grounds. 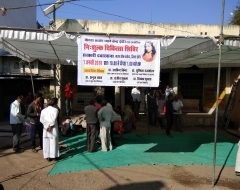 Over 100 devotees of Ujjain & Bhopal mandalis, Jabalpur & Indore Kendras and Dewas, Hoshangabad, Satna, and Sanavad districts of Madhya Pradesh, worked together to put up a bookstall and ensure the presence of Gurudeva’s publications at the Simhasth. Preparations for setting up the bookstall, and residential tents for the volunteers began three months in advance, under the guidance of YSS. The camp comprised of the bookstall, eight make-shift tents for volunteers and a kitchen for their needs. The bookstall was inaugurated by Simhasth Pradhikaran Chairman Sri Divaker Natuji and YSS monastics Brahmacharis Chinmayanandaji and Satchidanandaji. The camp was also graced by the visit of Br. Dhairyanandaji and Br. 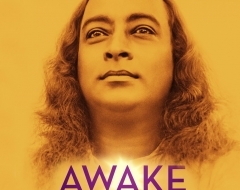 Bhaskaranandaji. 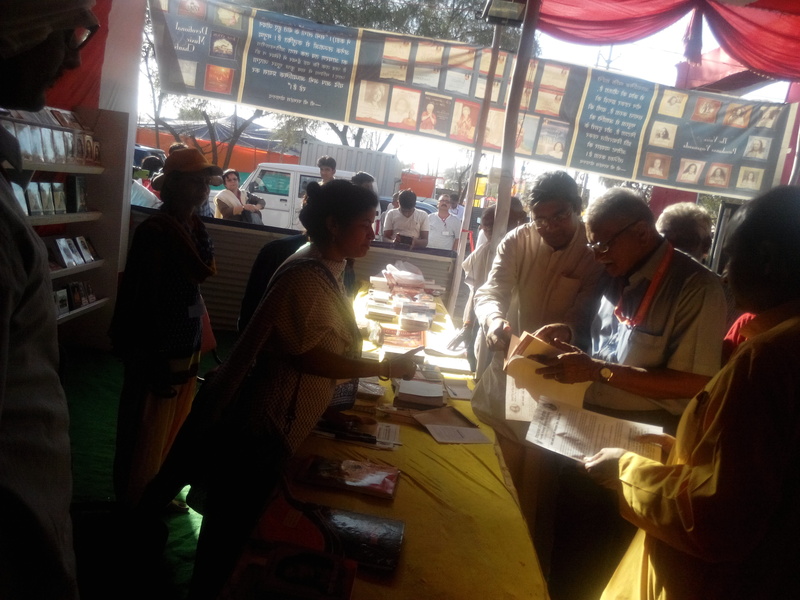 Though it was only a bookstall and not a full-fledged camp, devotees manning the stall helped other devotees who had come to attend the Simhasth, in making arrangements for their lodging and boarding.